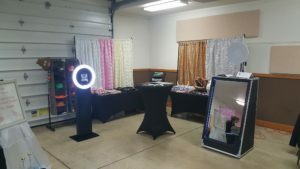 We provide Photo Booth Rentals for all types of events. Tell my readers a little about yourself and your history as a business. I have been in the event industry for 12 years now and love every minute of it. We have grown from just me running the show to an entire team of well trained professionals that I trust sending out every day. 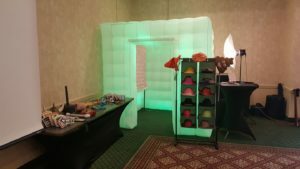 Why did you choose to do what you do within the wedding industry? We started in the photography side of the industry and we have primarily moved to the Photo Booth Rental side 3 years ago. We now work an average of 200 events a year. What trends in the wedding industry are you loving right now? 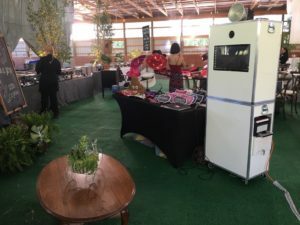 We stay up to date with some of the newest trends in the wedding industry and we adapt them to our business and the newest ones are the Magic Mirror Photo Booths and our Photo Spot Mini Social Sharing Station. I love interacting with the guests at a wedding and providing the best experience. Its not just about them taking photos in our Photo Booths its about creating an experience they will remember. Obviously waiting to late to book is a big problem we book out for some events almost 2 years. 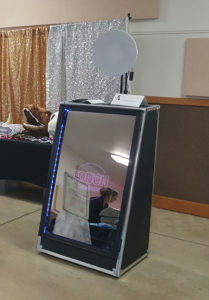 (Yes I have bookings already for 2020) Biggest problem I see is Brides under estimating the cost for a quality Photo Booth Experience. There will always be someone cheaper but as much as we hear the quote, “You get what you pay for” is very true. You might get lucky with the new professional who takes pride and has just started in the industry but that is very rare. We have almost 1,000 events under our belt to make you feel comfortable when you work with us. What is your ideal day at work? We are a professional company we work sometimes 7 days a week. Yes this is our Day Job and we are working all week long to research new trends, attend trade shows, work on customer requests and answer any questions. My biggest thing is if we miss your call we return it within a few hours at most. If you email us we usually answer immediately. Yes even those who email at 3am because that’s when they have the time are shocked I sometimes return the email quick. What is your ideal day off? I do occasionally take days off in our slower season and enjoy with my Wife and 4 kids. We do small road trips and try to get a vacation squeezed in during the slower seasons. I trust in my staff to take care of things while I am away and they do an amazing job. Honestly my biggest inspiration is both Steve Jobs & Jeff Bezos…. Both started their companies with nothing in a garage and built it into one of the largest companies in the world. They provided a quality service and product that customers love. What are you reading, listening to or binge watching right now? I am a Sci-Fi Nerd so currently I am binge watching Stargate Seasons. What is your favorite thing to do, or place to go, in the Northeast Ohio area? I really enjoy going to Cuyahoga Valley Park and just take in Nature. What would you tell your 16 year old self if you could? I probably would tell myself to go for my dreams sooner and take the risk. What is your favorite drink (alcoholic or non)?